Vanel Lacroix, an ex-police chief, engaged in a gun battle with Léogâne police officers on September 12, 2013. Lacroix was with escaped convict, Jerry Leconte, and Isma, an ex-police officer. Isma has had a bench warrant for his arrest on kidnapping and drug trafficking. Jerry Leconte took advantage of 2010's earthquake to make his escape from prison. Lacroix is being jailed on suspicion of his connection in Serge Demosthene's death. Lacroix was Chief of Police in Petion-Ville, and it was on his watch Demosthenes underwent torture at the hands of officers the night he died. 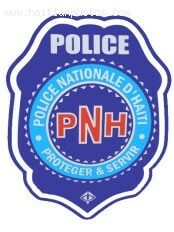 The reasons why Demosthenes was targeted by Petion-Ville police are still under investigation. What is known about him is he was fingered in the National Bank of Credit killing of Board of Directors Chairman, Gateau Toussaint. Some suspect Demosthenes was set up to take the fall for the real killer, maybe with ties to the Petion-Ville police and Lacroix. They killed him, some theorize, to shut him up.